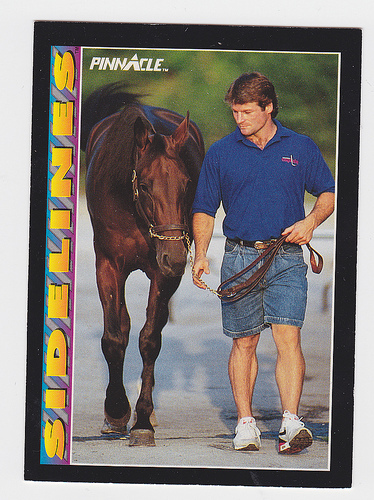 There are many great hockey sets out there, but one of our favourites is the 1992-93 Pinnacle Sidelines subset that profiled nine NHLers and some of their office hobbies and activities. 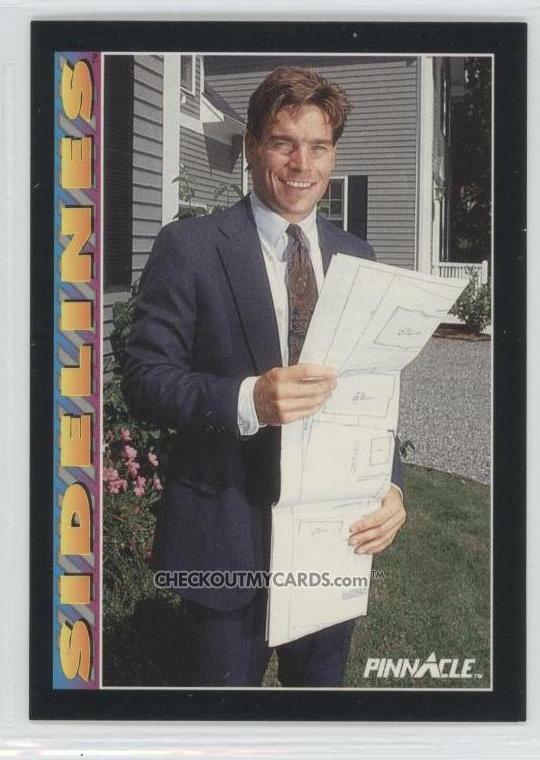 The pictures and descriptions are equally hilarious, so sit back and enjoy Part One of our showcase of some of the best retro hockey cards from the 1990s. 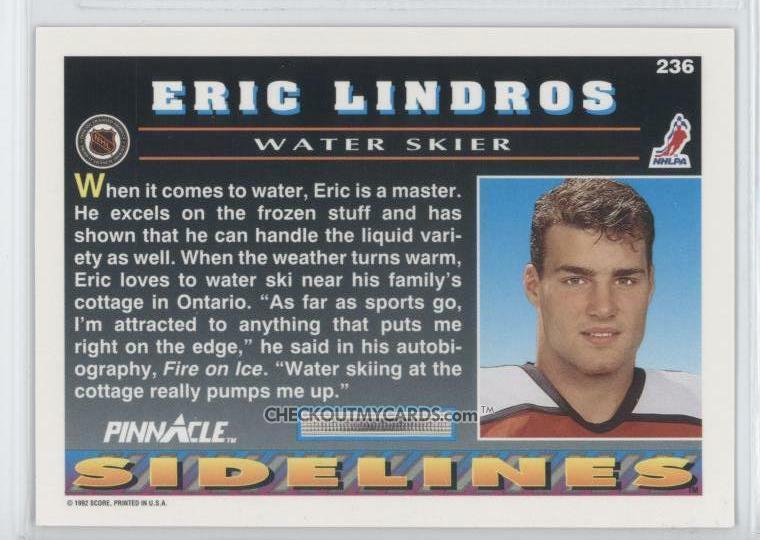 "Water skiing at the cottage really pumps me up" just makes us laugh. Lindros probably had a lot of time to water ski during his holdouts and rumour has it he only suffered one concussion on the water. 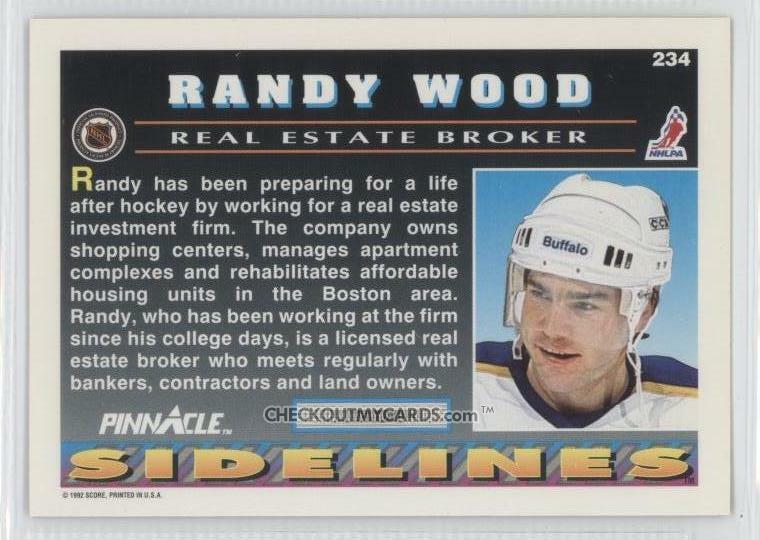 Randy had the smarts to attend Yale University and prepare for his future after hockey as a real estate broker. While not the greatest hockey player, Randy Wood's name will live on as part of the hilarious hockey name story in which Donald Brashear's are used to shave a girl down to her Randy Wood. 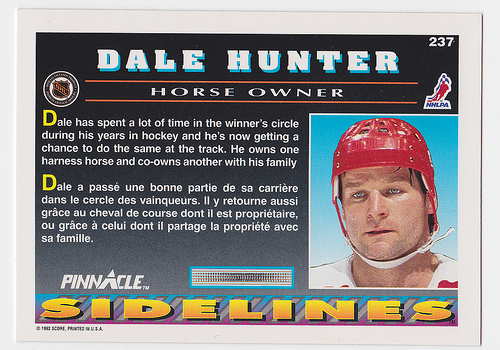 Dale Hunter would have been a great fantasy hockey player as he is the only NHLer to rack up 1000 points and over 3000 PIMs, but I would have hated to watch a horse race with him. 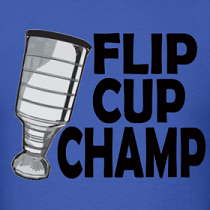 I mean, if your horse beat his and you were celebrating, you would never know if he was going to snap and cheapshot you. I wish my parents didn't toss all my old cards when I moved out.